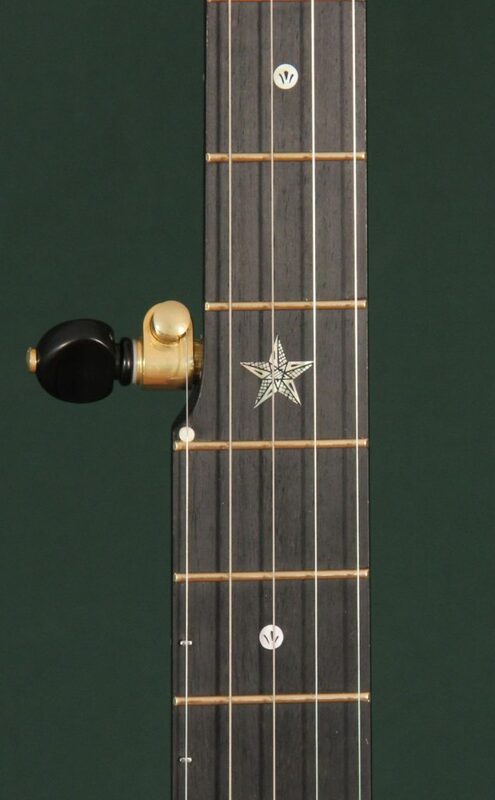 My first longneck build loosely based on the early Vega Pete Seeger model. 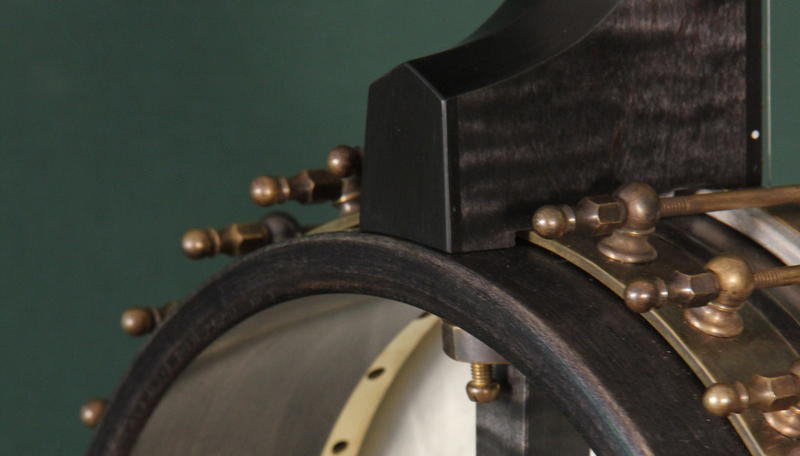 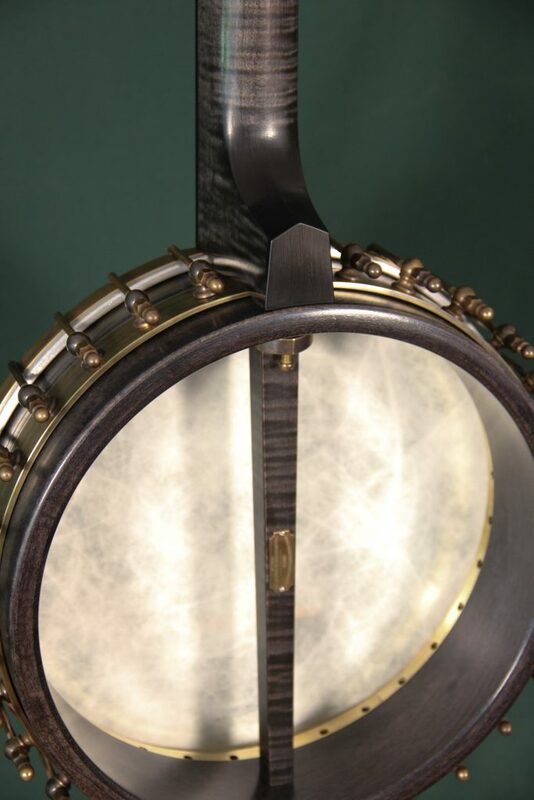 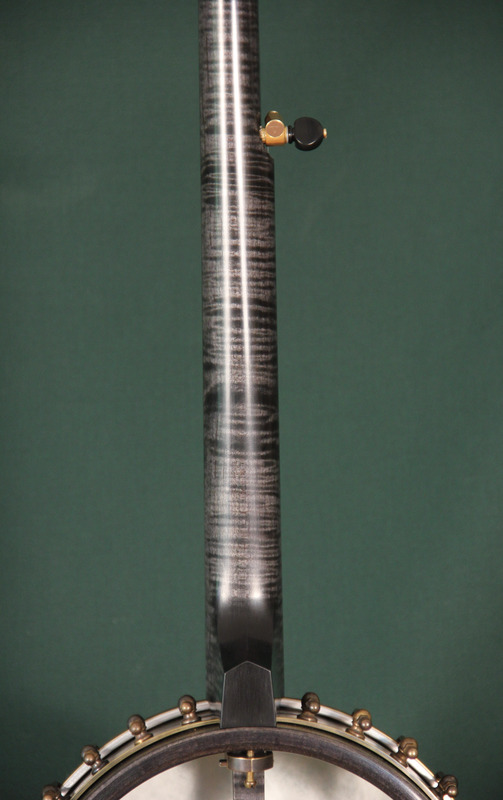 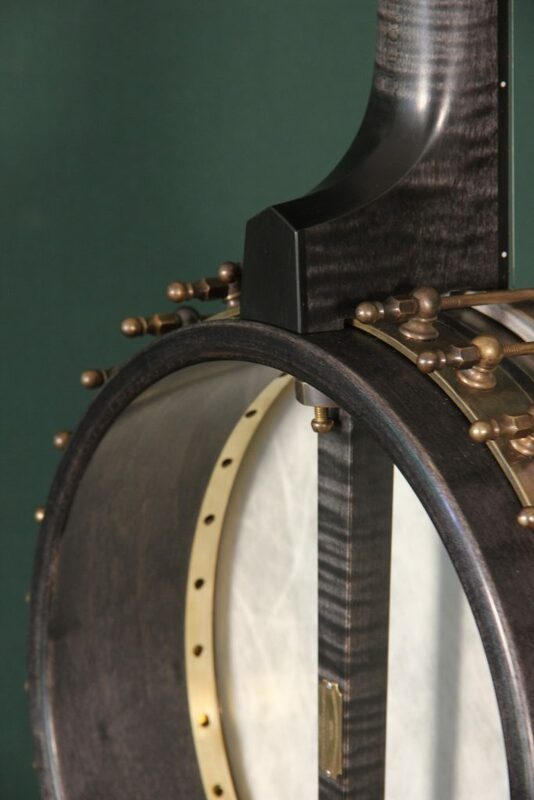 The banjo is curly maple with ebony and brass appointments. 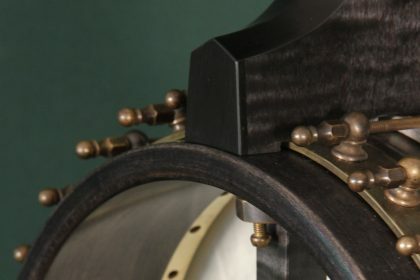 The long scale, fiberskyn head and tubephone tone ring give it a very rich tone with plenty of punch. 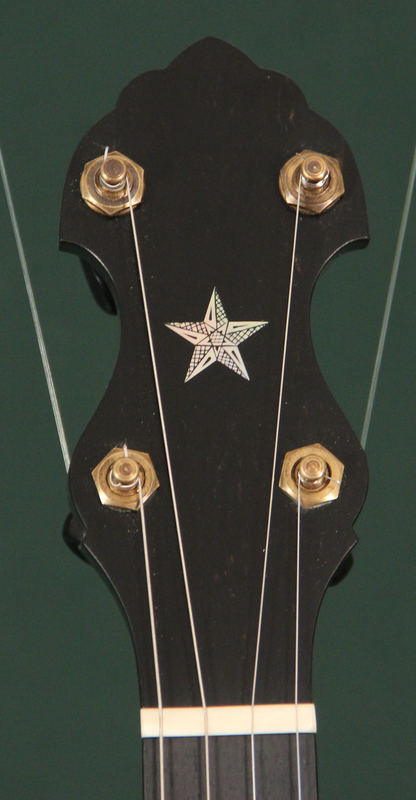 The banjo also has my first engraving work on the inlaid stars and dots.